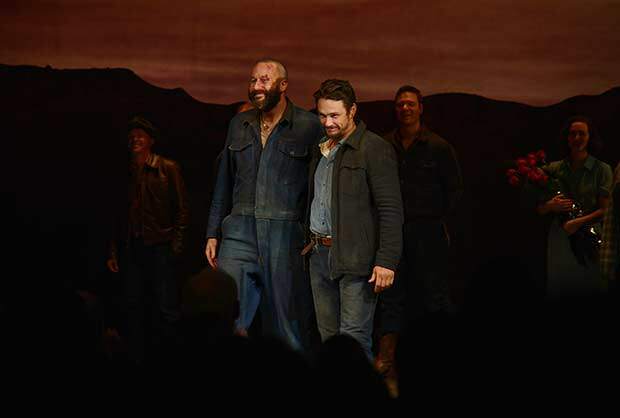 James Franco and Chris O’Dowd’s Broadway revival of John Steinbeck’s classic Of Mice And Men was critically acclaimed. The critics even said the show was “gripping”, “flawless” and “breathtaking”. The adaptation of the 1937 novel starred Franco and O’Dowd, together with Gossip Girl actress Leighton Meester. It opened at the Lonacre Theatre in New York City on Wednesday, April 16, and immediately gained positive acclaim from critics. David Rooney of The Hollywood Reporter said the production was “gripping, grounded and emotionally penetrating” and praised O’Dowd as the star of the show for his “tremendous” performance. It was the Broadway debut for all three of the leading actors.